It's December 1. Where has 2017 gone?! While I sit here and reminisce, let's take a trip to DC, where I lived at the start of this year. We're off to explore Sara's rental in our nation's capitol. 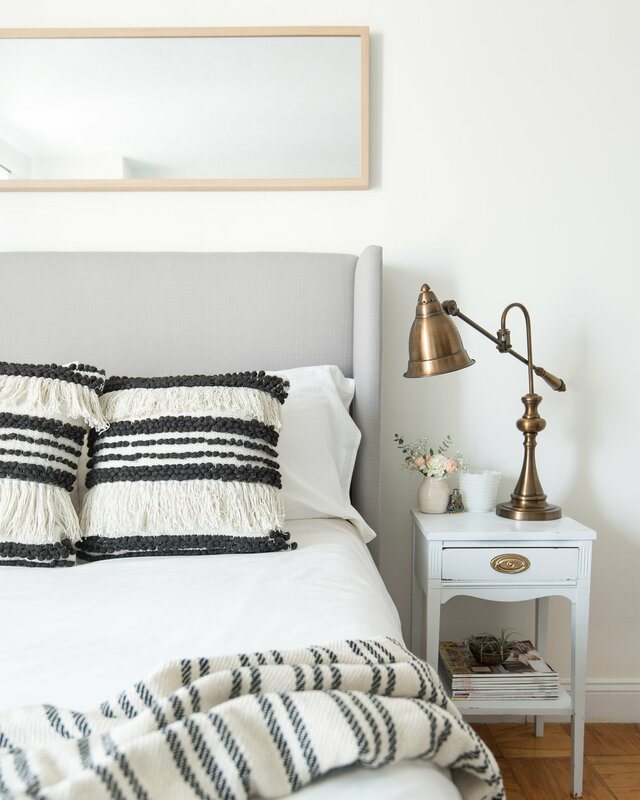 Sara's one-bedroom spot is a step-up spatially from the studio she once had - the same spot that inspired her to start sharing her design tips in the first place. Sara has pulled together the perfect home base escape, with mid-century, Parisian, and Cali cool vibes throughout. In her home, Sara keeps things simple and calm with neutral tones and subtle pops of visual interest, using color, patterns, and texture. Since the room is rental, Sara still keeps her design budget-conscious and smart. Sara, thank you for showing us around your home! And thank you, Laura, for the stunning eye candy. Follow Sara along on Instagram @studiostyleblog for more! Follow the talented @laurametzlerphoto for photos like these and more!